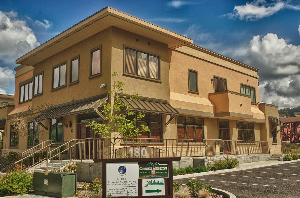 Founded by Donnie Yance, CN, MH, RH (AHG), in 1992, Mederi Center is a wholistic healing clinic located in Southern Oregon’s destination city of Ashland. Whether you are living with cancer or a serious chronic illness, or are trying to maintain high-level wellness and age gracefully, here at Mederi Center we want to do everything we can to support you, to walk with you on your road back to health, and to facilitate your healing journey. Our clinicians practice a ‘Whole-System’ approach called the Eclectic Triphasic Medical System (ETMS). Your ETMS practitioner will be developing for you, a personalized and comprehensive treatment plan based on a thorough ETMS assessment and utilization of the ‘ETMS Toolboxes,’ which include Botanical Medicine, Nutritional Medicine, Dietary Medicine, Life-style Medicine, and often guidance with regards to Pharmaceutical Medicine. Donnie Yance, along with his trusted associate Susan Saccomanno, ND, and our highly valued support staff, provide full services in the area of wholistic healthcare to thousands of clients nationwide both face-to-face in our Ashland, Oregon clinic as well as virtually, via telephone or videoconference. Additionally, Mederi Clinic is also known for our unique apothecary, which supplies the highest quality herbal and nutritional products and custom blended formulas carefully chosen for their quality, purity, potency and clinical effectiveness.